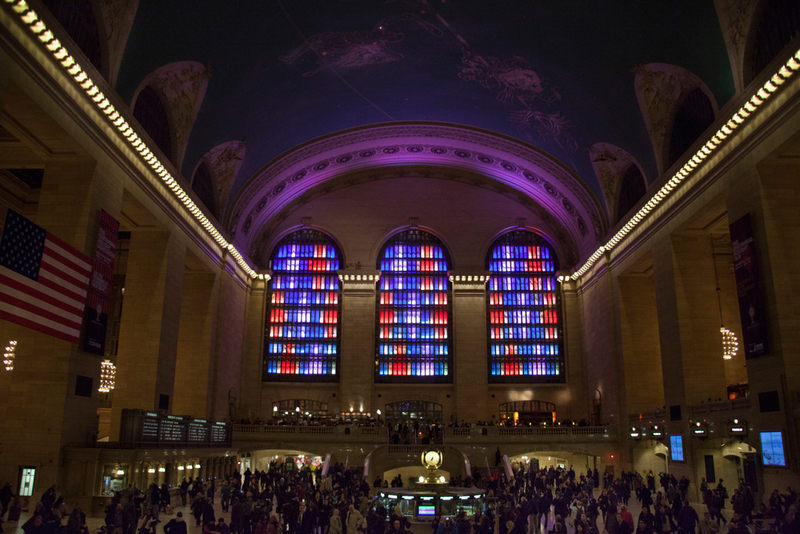 As New York’s Grand Central Terminal celebrates its 100th anniversary, the Metropolitan Transportation Authority (MTA) Metro-North Railroad decided to create a beautiful lighting design for all travelers and New Yorkers to brighten up their holiday spirit. Partnering with Toshiba, a concept for a light show filling the west windows of the terminal was created by designer Michiru Tanaka, displaying colored patterns and images during the evening hours. Bestek Lighting & Staging, Inc. deployed an impressive lighting system in the historical building featuring more than 350 of HARMAN’s Martin Professional lighting fixtures.